This morning ordered the bearings and bits for the slide updates. So having read the above posts and lookd at the links/vids it was time to adjust the head/quill. So thanks to MadModder and the other threads its bullet biting time. Removed the head and found the 4 capheads as per the above posts. Rubber mallet time ended up with almost 0 error about both the X and Y axes. Slowly tighten it all back up check again and all still good. Next its time to re-Tram the mill. This time much less shim to remove the error. ( 8 thou aka 0.2 mm does the trick). 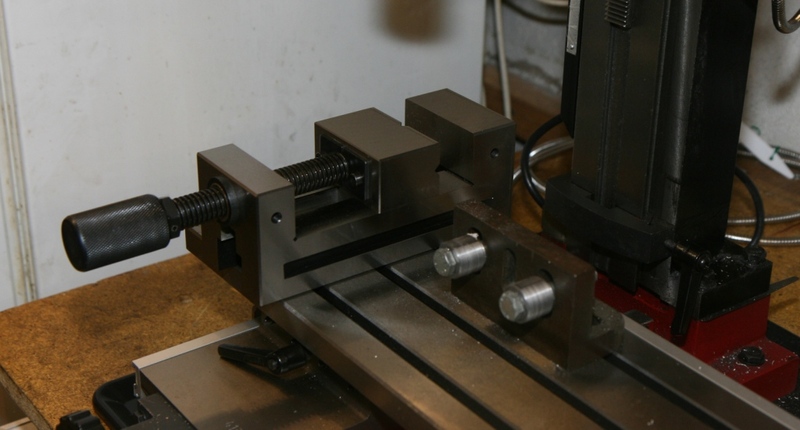 Again by walking the torque around the 4 fixing bolts I managed to get less than 0.01mm error about the X & Y axes. As the above threads have lots of photos there are none today. Will certainly photo the MadMod sand the DRO fitting. Talking of which: As magnetic DROs have non-contact reading heads I was thinking of fitting the X and Y axes with double sided tape initially! Any thoughts? 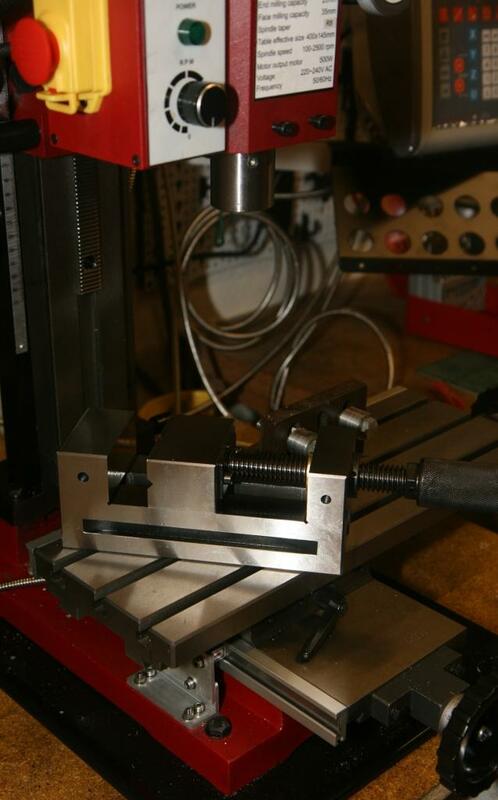 "Again by walking the torque around the 4 fixing bolts I managed to get less than 0.01mm error about the X & Y axes." Its thanks to you all that I plucked up the nerve to dismantle my 70Kg machine. Have thrown the wonga at a few companies and so next week its time to start drilling and modding. Holes are being drilled in it. Must say the quality of the cast iron is superb. Very easy to drill and tap. Photos are being taken. Nearly finished X and Y. 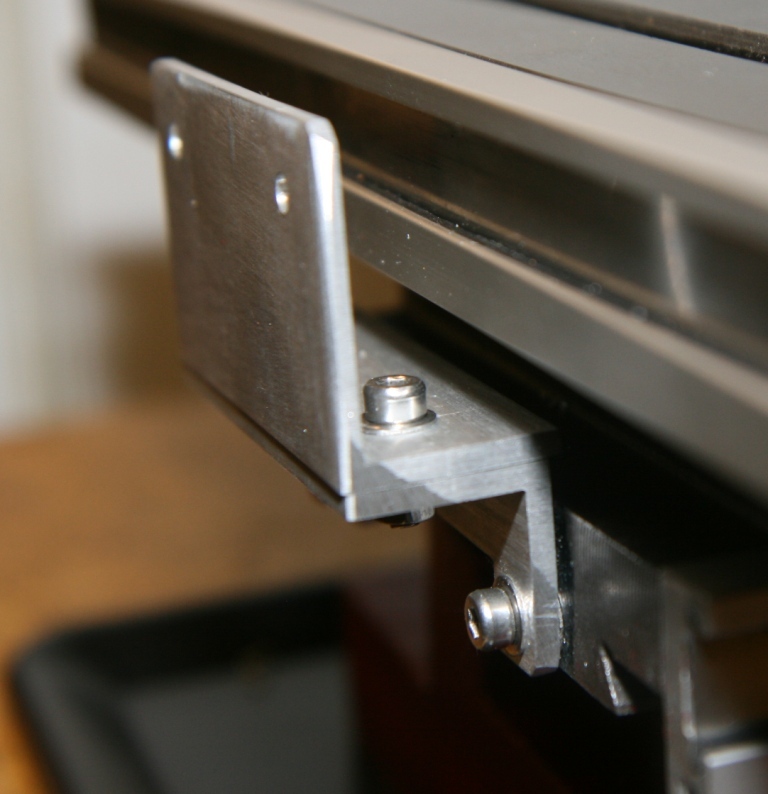 Any one know of where to buy a small 'T'' slot aluminium extrusion. The table does not have a slot for end stops. 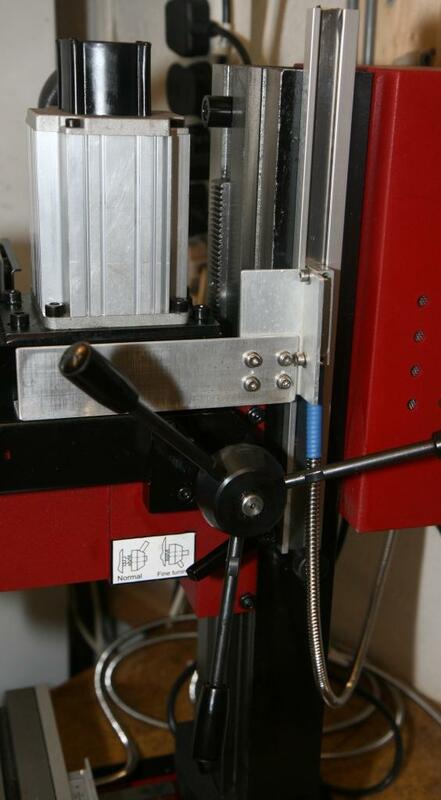 It would be much easier to bolt on an extrusion! That sort of channel is sometimes sold by woodworking machinery suppliers to allow construction of adjustable jigs, fences etc. 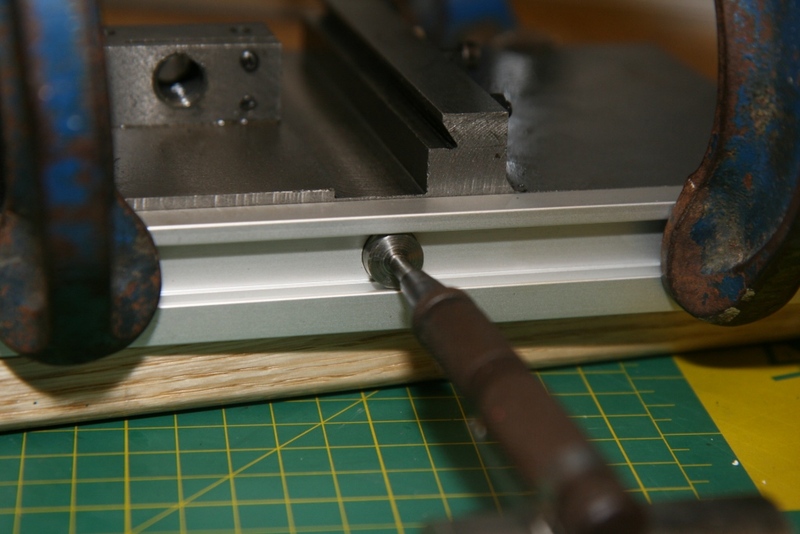 - you just rout a groove in the wooden jig base and let a strip of extrusion in and fix it with countersunk screws. Edit: just remembered - they call it "T-Track" - just search google for "T-Track" and you should find track, ready-made stops etc. Many thanks for the update. Axminster UK list "T-Track" - when you KNOW what to google for its a doddle! We never have a problem with Z, it’s the vertical movement of the knee, quill, head whatever. I decided to fit the Eason ES-12, 3- Axis display along with their magnetic scales. These cost a bit more than the optical ones but they are much shorter than their optical counterparts. Only 60 mm longer than the required travel as opposed to more than 100mm for the optical. Also they are non-contact so there is a bit of leeway in fitting (not that we should be slack about fit!) Also they are basically sealed so no need for protection from swarf/coolant. The ones I got are multi part. 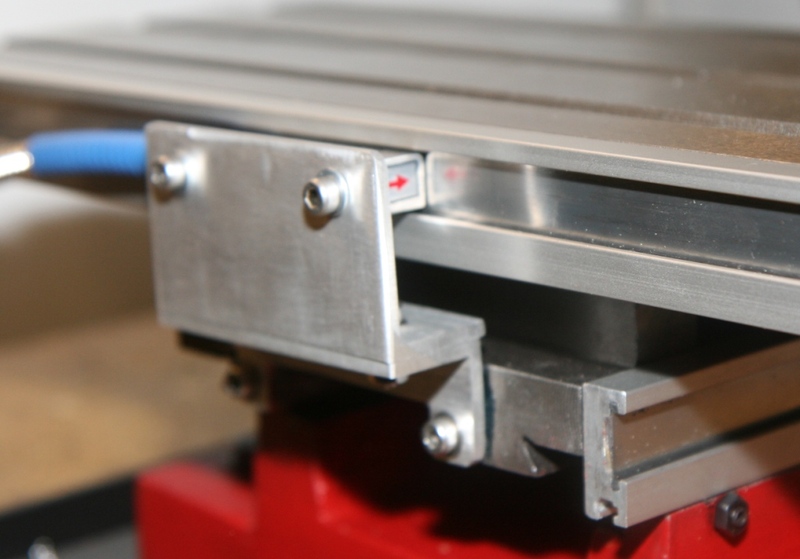 The Aluminium extrusion (pre-drilled every 100 mm). The magnetic strip with sticky backing. 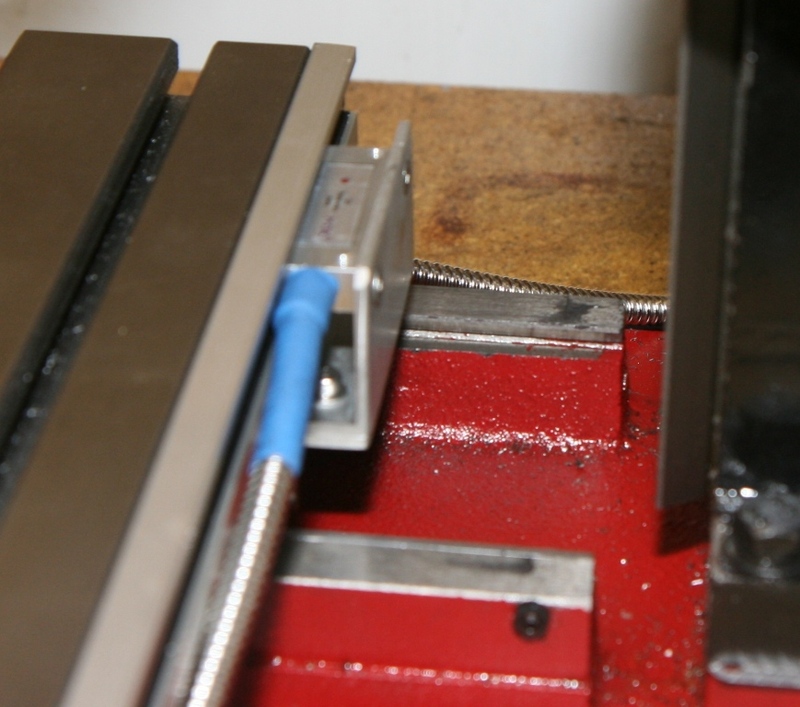 Not shown below are lengths of ‘o’ ring that are squeezed into and over the SS strip to lock it all in position. So there is no need to use the sticky backing. Nice if you have to take the scale apart. Note: Now you can see the o-ring material in place. And also for the Y-axis. Not the slides have been removed and this is looking at the back face of the slide. And yes I know I have lost some 27 mm of Y travel but what the heck! I must say that the Eason display is the 'dogs' It weighs about 10 kgs and appears to be bullet proof. Any ways 2 axes done now the Z axis - admittedly probably the least important axis but probably the most difficult to bracket up. A long long time ago my shop was in a damp cellar or 2 in Manchester. All the jigs/fittings/calipers etc took on a shade of rust. When i moved to Ireland I ditched all the mild steel and replace it with stainless - mainly 304 as its brewing safe. The free'er cutting grades often have sulphur in them which discolours in the presence of beer and food (i.e. BBQs). When the mill is ready I will be making one or both of Harold's grinder rests in stainless! You could get a bit of the lost 27mm back by chopping the bottom off the Z axis dovetails, they are not used that far down. 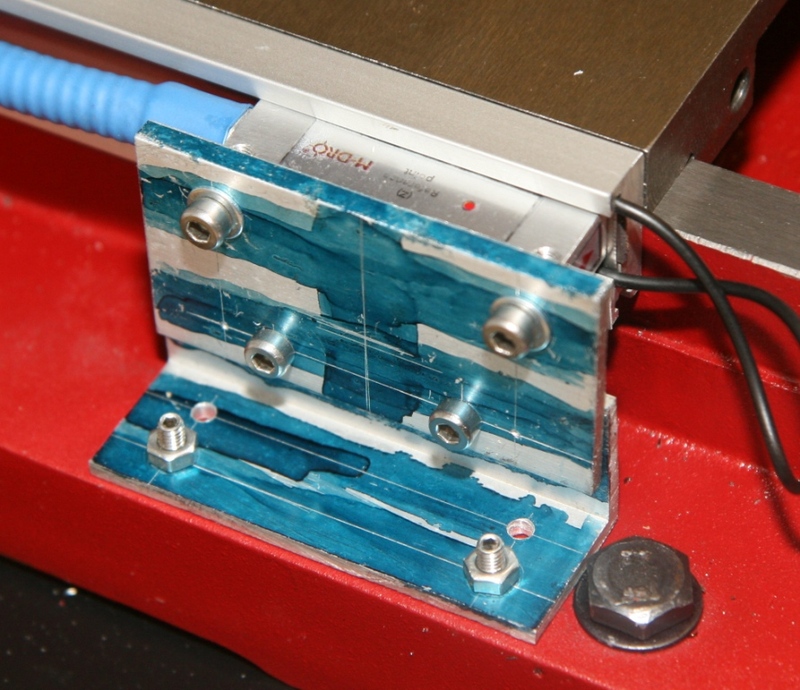 Or maybe by inserting a suitable riser block? 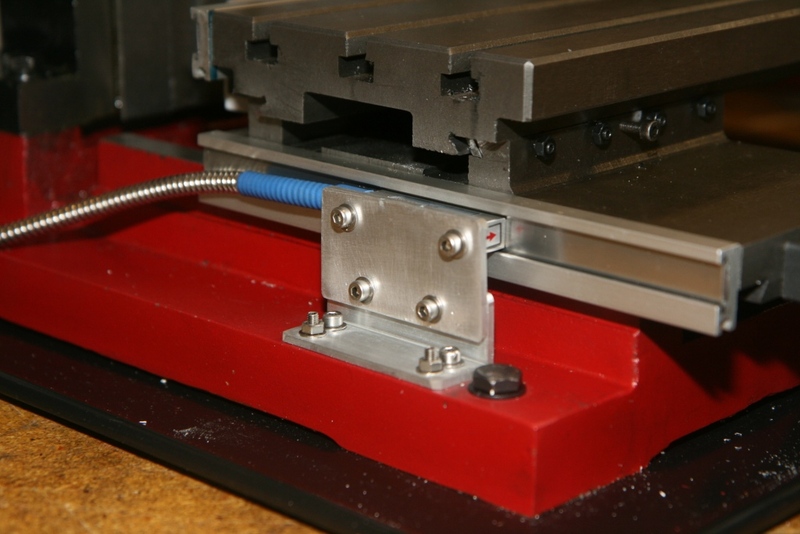 and if you made it the full width of the machine base, you could maybe have jacking bolts in the four corners which would bear against the base and help with tramming? So finally its the 'Z' axis. These are M5 by 40 as ordered, they were shorted to suit, turned down to 4mm and re-threaded. Makes me ask "Does my bum vice look big in this?" I thought 3 inches?, that's about right for an X2 but it when delivered iy's rather big and weighs 5.3 kgs! I have read with interest the modifications to the Sieg Mini Mill SX2P. I have recently obtained a new machine and one thing that is of great concern to me is the position of the table when centred under the quill. 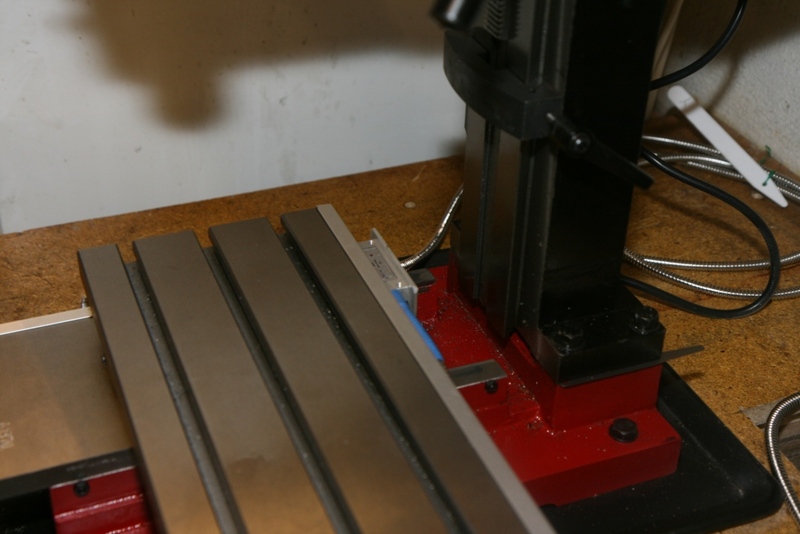 Like the photographs show the Y axis position is too far back so that there is a large gap between the table and the column and the front of the Y axis is not engaged in the gibs. It is almost like that the Y axis casting has been installed incorrectly and that this casting should be reversed. I am looking at modifying the casting to install it in the reverse position, which require putting the Y axis hand wheel at the other end ( 2 bolts holes to be drilled and tapped) and the X axis gib screws put on the other side. Has anyone considered this modification and is going to improve the operation of the machine?